I don't read a lot of books - but as I've always made clear at any opportunity, my favourite novel of all time has to be Susan Hill's The Woman in Black, first published in 1985. A well told ghost story with an unsettling tone, Hill's novel is a gripping read from start to finish, with the depth to the overall narrative and characters help rendering it as good a piece of storytelling as it is a haunting experience. Amazing stage play aside, The Woman in Black has been adapted for screen twice - a superb 1989 TV film, albeit one with numerous changes, and a 2012 theatrical release featuring Potter star Daniel Radcliffe himself...and one with even more changes, no denying. But hey, it's a pretty good horror flick overall, although just not quite the adaptation I feel the novel truly deserves. A central issue that even the original story sometimes holds is how the Woman is said to lead to the death of children whenever seen. However, the amount of times Arthur must've seen her in this film...not every sighting seems to link a to a child dying. Perhaps the meaning is of course that the death of a child is joined by her appearance? If so, Elizabeth's explanation of it is quite poor to put it lightly. Kekwick, whose son was killed by the Woman, seems to feel strongly about avoiding any chance of disturbing her to save future misery. However, this doesn't quite seem to be the case, as we see him change his mind in a flash of a second over a cheap little bribe. Some repercussions of this must've took place: did Keckwick's employer ever find out? Was Keckwick reprimanded for such a gross disobedience? I'm just thinking out loud (and far too much) now, but hey, there's some merit to my words. 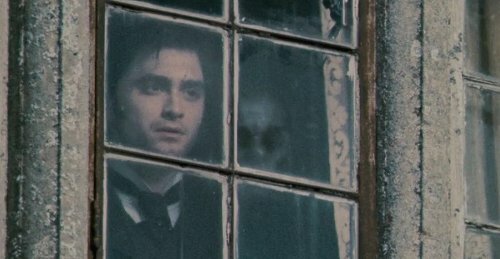 Why does nobody just tell Arthur about the ghost of Jennet Humfrye? While this makes sense in terms of them not wanting to look bonkers or kick up even more of a fuss, they are extremely adamant to get rid of him but do a pretty poor job of doing so. It perhaps would've been better if they were just honest about it; even Sam blindly shunts aside the obvious truth and puts Arthur in serious danger for reasons that just aren't made very clear. 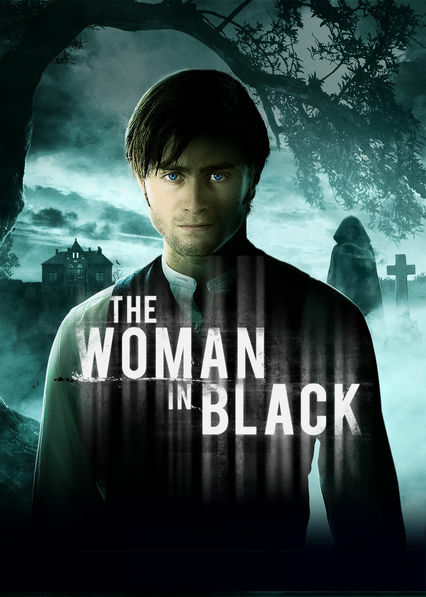 Referring back to Sam, he and his wife find it an good idea to lock up their daughter Lucy in an insane effort to shield her from the eponymous ghost. This requires obsessive monitoring and gross mistreatment - of course it links back to paranoia developed by the Woman killing their previous child, but maybe it would've been a good idea to just use protection if all they'll be doing is locking their new kid up and guarding it like incredibly valuable treasure. It seems odd how the marsh surrounding the causeway has extremely strong preservation qualities, made obvious when Arthur and Sam dig up a pony trap housing two corpses in pristine condition...despite it apparently being there for a fair few years. The same scene is also slightly hard to believe in as it shows Arthur tying a thick bit of rope around the submerged pony trap, in a method strong enough for it to be hauled out with minimal hassle, all whilst swimming in the marshes and consequently unable to see a thing. Perhaps it also would've been a good idea for Arthur and Sam to carry out such a task during the day so they'd have a solid view of the tides and surrounding marshes, making it both easier to steer along the causeway and accomplish their bizarre goal without serious risk of veering into a sticky situation. But I guess a horror film needs to be dark during it's climactic moments, right? This scene also raises the debate over how the Nathaniel boy drowned within said marshes - the book establishes that they're immensely strong and will drag anyone to their demise if they so much as catch their foot in them, however we, once again, see Arthur swimming in it with little hassle. So how did Nathaniel drown in it if he was with his parents? Did they abandon him to save their own asses? Even if he couldn't swim surely someone was there to aid him, or were the wealthy snobs that afraid of getting dirty? Arthur's always established as highly protective of his son Joseph following the loss of his wife during childbirth - however, when Joseph notices the Woman at the train station, he purposely lets go of Arthur's hand and at this point neither Arthur, nor Sam, nor the lady paid to keep an eye on Joseph notice him climb onto the train tracks and approach the enormous locomotive thundering into the station. I remember being so, so hyped for this film throughout 2011 as it's release neared and the trailers rolled out. Like I said earlier, it's a decent horror flick no doubt, with one of it's biggest pros being Radcliffe and the strong cast he leads. Sadly, it just feels too noisy and obsessed with forcing set pieces into the mix, than it does portraying the heart of the book with a fresh aesthetic. Oh well.